Experience the excitement of playing in a brass band with talented students from around the region! Small group coaching sessions from NCBB musicians. Rehearsals and concerts conducted by NCBB Music Director, Dr. Brian Meixner. All activities held at High Point University's Hayworth Performing Arts Center. $225 Participation Fee for the entire year. 6 rehearsals and 1 concert in both the Fall and Spring. All concerts and rehearsals on Sunday afternoons from 2:00 to 4:30 PM. Audition materials will be available in July 2016. Auditions open to high school students performing on trumpet, horn, trombone, euphonium, tuba and percussion instruments. Auditions will take place on Sunday, September 11th, 2016. 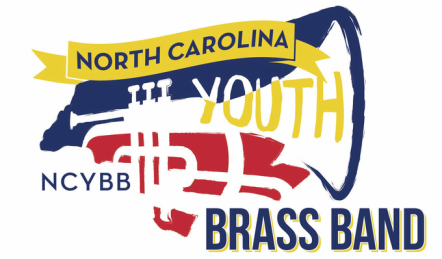 Audition excerpts and materials will be posted on the NCYBB webpage in July 2016. Auditions - Sunday, September 11th, 2016.